Getting off the beaten track may be quite hard in any popular travel destination and the Netherlands make no exception. However, there are things to do and places to see which allow you to get off the beaten travel trail and avoid the tourists, too. Popular museums in Amsterdam attract a lot of tourists but there are some lesser-known ones worth your time, too, such as: The Tulip Museum and The Houseboat Museum. Amsterdam is ideal for just walking. Or biking. Or taking a boat on the canals. See a small replica (1:25) of the Netherlands at Madurodam. Cycle or hike through Nationaal Park Zuid Kennemerland. Read: The First Time Guide to Renting a Bicycle in Amsterdam. 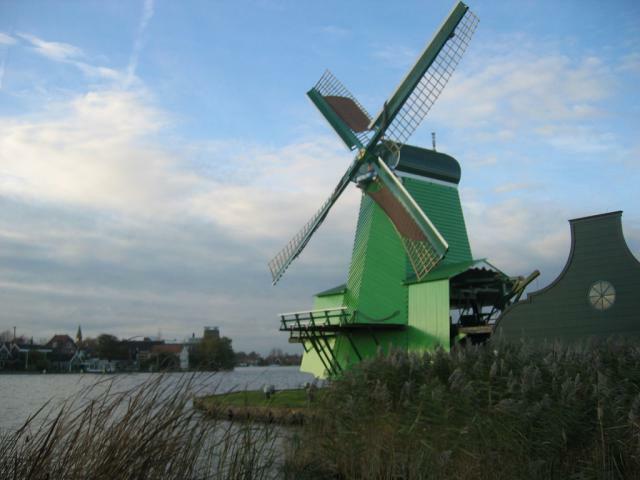 Of course, visiting the Netherlands won’t be complete without seeing some of the major sights that make the country famous. Here are some ideas on what to do if you’ve never been there or plan on staying for a while. Coffee shops, Red Light District and canals…the three things I am sure you won’t miss experiencing in Amsterdam. Rent a bike in Amsterdam. Enjoy nature in Amsterdam’s Rembrandt Park. Alkmaar is a small town in the north known for its cheese market. Visit the Anne Frank House in Amsterdam. Floriade. Every 10 years, though and it happens in 2012. Visit the historic center of Haarlem, a short train ride from the capital. See the medieval architecture of Maastricht. Visit the bustling port of Rotterdam. The old center of Utrecht is charming. See it from above. Or walk on its streets. Spend some time in the The Jordaan district of Amsterdam, sipping a coffee . Read: The Home and Prison of Anne Frank. The high prices are going to put you off visiting Netherlands. But there are always ways to cut down costs. Some areas , especially in Amsterdam, are too touristy and you’ll feel tired very easily. When you think of the Netherlands the image of wooden shoes, tulips and windmills might come to mind. Throw in a picture of a little boy holding a finger next to a dyke and the cliche is complete. For all that is known about Holland - Amsterdam's Red Light district, the flatness, the canals, the tallest people in the world - there are also mysteries to be discovered. How does a country that is below sea level exist? Where did all those bikes come from? Why do the Dutch people speak better English than native speakers? These are the questions you can answer while visiting a country that oozes hipness. Of course you'll want to visit Amsterdam, which combines world-class museums and stunning architecture with all those coffeeshops you've heard about as well as the infamous Red Light District. The Rijksmuseum is the finest in the country, but the Van Gogh Museum and the Anne Frank House often have longer lines. Rotterdam has an all-new city center, but it can be fascinating as well, since it can give you a much better look at the real Dutch culture. They've got an enormous harbor, museums, and even coffeeshops, but only a tiny fraction of the amount of tourists that Amsterdam has, and that can make it worthwhile by itself. Book a flight into Amsterdam's Schiphol Airport (code: AMS) and see what all the fuss is about. Fares tend to be quite low from everywhere due to the heavy competition. The city is also easily reached by rail so it's an excellent stop for Eurail Pass holders as well. There are more hotels in the Netherlands than you can shake a stick at, and prices can be reasonable. But there are also loads of hostels in the Netherlands, most of those being in Amsterdam itself. Summers are crowded, but otherwise you shouldn't have much problem finding a room.